Yes children of 2 years of age and above but not more than 12 years of age are charged at 75 per cent of the applicable adult fare. Infants under 2 years of age are not charged providing they are not occupying a seat. What happens if my international flight into Kenya is delayed and I miss my MAS flight? Mombasa Air Safari will transfer your booking at no additional cost to the next available flight but has no responsibility whatsoever for any related extra costs. You are advised to ensure that your travel insurance covers such a situation. 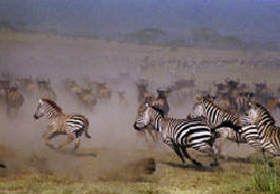 I want to book a flight to the Masai Mara but do not know which airstrip to select when making my booking. Please go to the header Mara Airfields and click to see which airfield serves your camp or lodge. 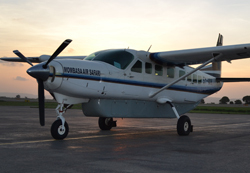 Or send us an email reservations@mombasaairsafari.com and we will provide you with the required information. Yes except for the seasonal Lamu service which may operate ad-hoc depending on the time of year. Please check availability. A new full service will be introduced this year. Can I book a seat on your scheduled services to transfer between two airstrips within the Masai Mara or between Mara and Amboseli and Mara Tsavo West. Yes transfers within the Masai Mara can only be booked within 24 hours of the time of travel and are subject to the planned routing of the aircraft. Transfers are charged at the special fare of USD 50 per seat. Bookings between Amboseli and Mara and Amboseli and Tsavo West can be made online. No you can only make a firm booking. Refunds for cancellations are normally only given when there are valid humanitarian grounds for the cancellation. In such circumstances you must send us full reasons for the cancellation plus supporting documentation. In most circumstances our Check-in staff will use their discretion and allow a leeway of up to 2 kgs. However additional excess baggage will only be carried at the sole discretion of the captain of the aircraft if the payload of the aircraft and/or space permits and will be charged at the prevailing rate for carriage of freight. Most of our flights are operated by aircraft whose luggage compartments have limited volume and are of an irregular shape. It is thus more difficult for us to stow large rigid suitcases which in an extreme situation might have to be carried on the next available flight. Yes there is a secure store at our Moi International Airport Mombasa Check-in Counter as well as Malindi and Ukunda Airports. However no storage is available at bush airfields. The latest Check-In time for all passengers is 30 minutes before flight time at all airfields. MAS reserves the right to depart up to 10 minutes ahead of the scheduled departure time if passengers are not present at the place of departure by that time. MAS has no responsibility for direct or indirect costs resulting from passengers missing a flight due to non-compliance for whatever reason with the above Check-In times. Departure and arrival times at Mara airfields may vary daily depending on the number of airfields visited. MAS is based at Mombasa Moi International Airport gateway to the entire Kenya Coast. The International Airport is 30 minutes drive from Mombasa City Centre and 45 minutes from many beach hotels. The MAS Check In and Offices are at the General Aviation Terminal. Turn right at the roundabout after entering the airport gate. Can you organize a transfer between Moi International Airport Mombasa and Malindi Airport? Yes provided you give us at least 48 hours notice we will book you via email. Please contact us. MAS operates via Malindi and Ukunda Airport most mornings. Please click on Our Fleet for details. Yes. 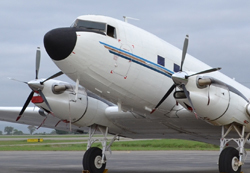 Further details including costs can be found at Charters. Do you have a VIP Very Important Passenger Lounge? Yes there are complimentary hot and cold drinks snacks and TV at our exclusive Passenger Lounge at the General Aviation Terminal at Moi International Airport. Both Malindi and Ukunda Airfields have a Coffee shop.